In this post we will learn how to create WhatsApp group invited link? Being an administrator of a group or adding members and managing the group is a responsibility. Adding a member to whatsapp group in today's fast and tech period can be easy and now you can join any member of your Whatsapp group just by creating a Whatsapp group invitation link. So in this post we will learn how to create whatsapp group link. 1. Anyone can join group by clicking this link. 2. Without any group admin permission, any group can join. 3. You can add member without saving the number. 1. First and big disadvantage is anyone can join this group and make spam in the group. 2. Without group admin permission anyone can join group by using link. 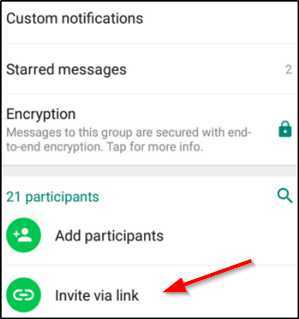 To create a group invite link on whatsapp, open your group. Add participant Now you will get the option of Invite to group via link at the top. Now you will get the group invitation link. Copy and share it wherever you want in Facebook and whatsapp. You will get a link. Copy it and share it. On clicking the whatsapp group invite link, they will ask to join this group. Anyone can easily join group by clicking on ok. Wherever you share this link, people will start to join your group. In this way, you can add members to your group without adding anyone. Remember, people will continue to be added in your group unless you have 256 members in your group. After that the link may stop working. 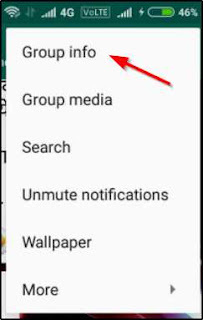 Whastsapp New Feature "Delete for Everyone"
So friends, in this post we will learn how to create whatsapp group invite link. In this post I have tried to clear all things completely. Which means there is no confusion about creating a whatsapp group invitation link.